← Building walls instead of knocking them down! I have my first book signing! So the big news on the happiness front this week is that I have been offered my very first book-signing. I didn’t have to beg or grovel or anything like I expected I might have to do or lets face it, be prepared to do. It’s not in London’s Oxford Street or New York’s Time Square but it is in the High Street of the nearest big town to where I live, Watford. I didn’t go in there even with the intent to ask for a book signing. 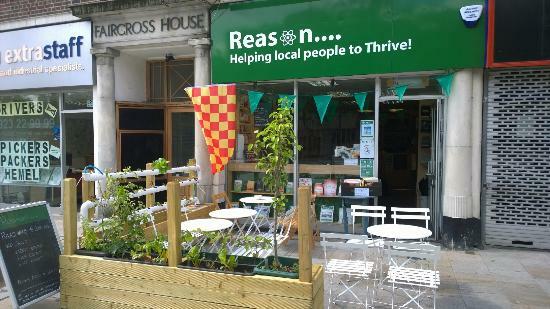 The place is called Reason Coffee Shop and Bookstore and it is a Social Enterprise shop which means it operates not particularly to make money but to offer valuable support to local people with the owner taking a particular interest in local authors and entrepreneurs which covers me twice. What I liked about Reasons as soon as I stepped inside was how friendly it is. It feels rather like my living room with bookshelves along the walls, comfy seating and tables as well as fruit, cakes and a fine selection of drinks including Soya Milk which for me with my recently Gluten and Dairy free diet is a wonderful bonus. The staff there are lovely and friendly and it is all this that made me speak up about having a book signing. The owner immediately said yes and this week he sent me an email offering me an almost all-day slot closer to Christmas. He’d even contact the local press too. Just how many books do I bring? Do I bring too many and hardly sell any and have to take them all home and take ages to recoup my money? Or should I bring just a handful of each and risk turning away new fans and customers? I know what Alan Sugar would say on The Apprentice… the prospect of running out of goods to trade would no doubt very quickly get me Fired. I guess I’ll bring quite a large pile of my 101 Most Horrible Tortures in History and a just a slightly smaller pile of my Lest We Forget History books with a smattering of my travelogue and the promise too. You’re all invited of course or will be when I have a precise date worked out in November or December. My tours are going extremely well and it has been a hugely busy summer. I’ve got so many books in the works that I’m not sure what to do next but I’m working with the very talented Jo Robinson to create a very special and long awaited Star Trek book, a vigilante novel called V, a book of poetry, a successor to 101 Horrible Tortures and a small history biographical work on a family ancestor and early air-pioneer at RAF Hendon for which I’ve been offered access to their historical archives. 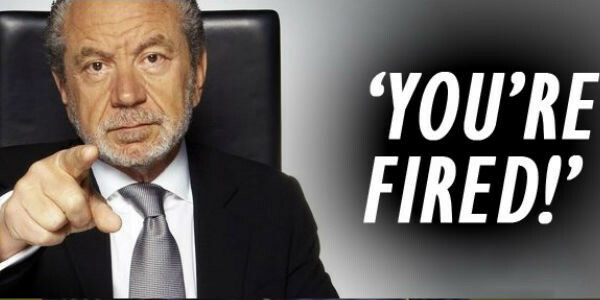 If I might finish this post with some words of wisdom I very much came to realise this summer again from Sir Alan…. This entry was posted in Life, writing and tagged 101 Most Horrible Tortures In History, Book Signing, books, Forever and Until, In The Footsteps of Heroes, Lest We Forget, Life, My Books, Planes Trains and Sinking Boats, Reason Coffee Shop and Bookstore, The Messenger, The Promise, writing. Bookmark the permalink. 6 Responses to I have my first book signing! Oh, wonderful and exciting news! Take lots of copies of everything, especially Lest We Forget – I’m sure that will be a bestseller! So wish I could be there – looks the most delightful coffee shop and unique business. And so glad your tour business is doing well. So deserved – you are one of the hardest working people I’ve met on the Internet. Love your history posts and also those on your day tours with pics of where you’ve visited. I follow very few blogs because they can be time-consuming – but never miss yours! Thank-you Malla for your comments and all your support here and on other platforms! I really appreciate it as I know from my experience how hard it is to keep up with other blog sites. I have one or two more tour blog posts up my sleeve! Thanks again! Can’t believe I didn’t comment on this before – HUGE CONGRATULATIONS Stephen! So exciting and you never forget your first official book launch!